Posted July 9, 2018 by Amy Kawa & filed under Uncategorized. Two favorites in the St. Mary’s faculty world are retiring at the end of this school year. 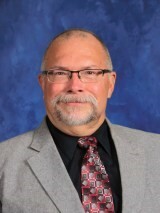 Mr. Gary Schulenberg will leave St. Mary’s after 33 years of teaching Social Studies before transitioning to become the school librarian in recent years. Mr. Schu has been an educator for the past 45 years. 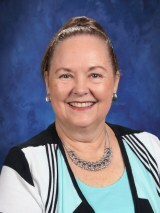 Mrs. Linda Aures has taught freshmen Earth Science and Physics at St. Mary’s for the past 41 years. Both Mr. Schu and Mrs. Aures have built legacies at St. Mary’s that will live on even after their last classes are dismissed. There are no words to describe the gratitude of the entire St. Mary’s community for the years of service and the profound influence these two remarkable educators have had at St. Mary’s for nearly four decades.